In the age of streaming entertainment, it can be hard to leave the couch. But movie theaters still offer a special experience for those willing to get out of the house. Want to see what's out there? Don't miss this week's lineup of acclaimed movies showing on the big screen in and around Richmond. 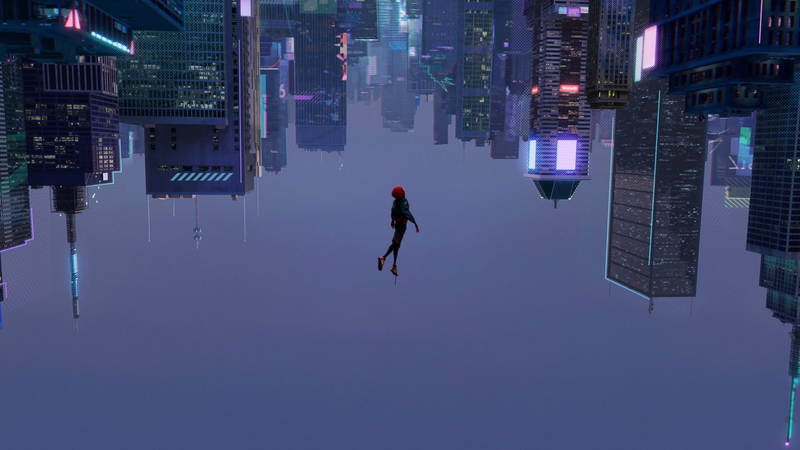 With a 97 percent critical approval rating and an audience score of 94 percent on Rotten Tomatoes, "Spider-Man: Into the Spider-Verse" has been a must-watch since its release on Dec. 14. There's still time to catch it in theaters while it's fresh off a win for Best Animated Feature at the Golden Globes. As the site's critical consensus would have it, "'Spider-Man: Into the Spider-Verse' matches bold storytelling with striking animation for a purely enjoyable adventure with heart, humor, and plenty of superhero action." It's screening at Century 16 Hilltop (3200 Klose Way) through Thursday, Jan. 17. Click here for showtimes and tickets. With a critical approval rating of 93 percent and an audience score of 94 percent on Rotten Tomatoes, "Bumblebee" has garnered plenty of praise since its release on Dec. 21. The site's critical consensus has it that, "'Bumblebee' proves it's possible to bring fun and a sense of wonder back to a bloated blockbuster franchise -- and sets up its own slate of sequels in the bargain." You can catch it at Century 16 Hilltop (3200 Klose Way) through Thursday, Jan. 17. Click here for showtimes and tickets. With a critical approval rating of 65 percent and an audience score of 80 percent on Rotten Tomatoes, "Aquaman" is well worth a watch. The site's critical consensus notes that "'Aquaman' swims with its entertainingly ludicrous tide, offering up a CGI superhero spectacle that delivers energetic action with an emphasis on good old-fashioned fun." It's playing at Century 16 Hilltop (3200 Klose Way) through Thursday, Jan. 17. Click here for showtimes and tickets. A corrupt cop enjoys all the perks of being an immoral and unethical police officer until an event transforms his life completely and forces him to choose the righteous path. With a 60 percent critical approval rating and an audience score of 43 percent on Rotten Tomatoes, "Simmba" is well worth a watch for Bollywood fans who rarely get American big-screen releases. It was the third highest-grossing Bollywood film of 2018. It's screening at Century 16 Hilltop (3200 Klose Way) through Thursday, Jan. 10. Click here for showtimes and tickets.